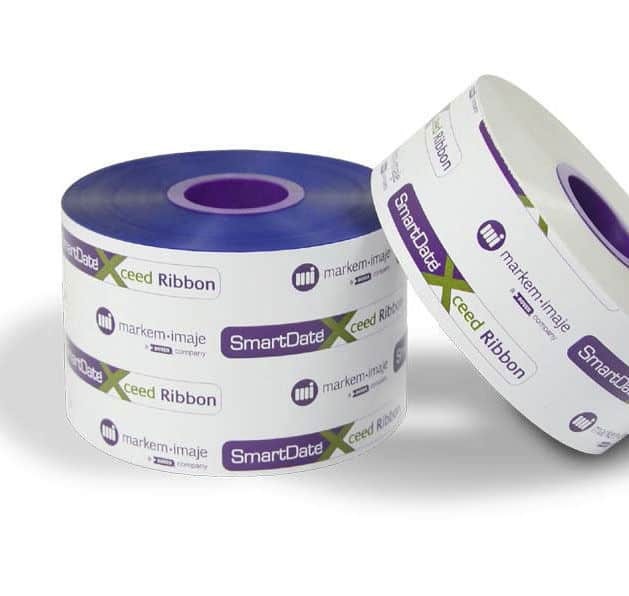 SmartDate Xceed ribbon is the most cost-effective way to ensure your products are securely coded and your barcodes are readable. Markem Imaje’s consumables are very famous in Dubai, Abu Dhabi, Oman and many other Gulf region. Resist smudges and scratches in your code. Improved contrast for enhanced packaging design. Made to the latest thermal transfer standards. Full hardware compatibility for more benefits. Increased uptime: utilise the best ribbon-coder combination to ensure high production runs. Best-in-class warranty on your coder. Quality service worldwide: Gain direct access to one single point of contact for expert support on both your coder and ribbon.